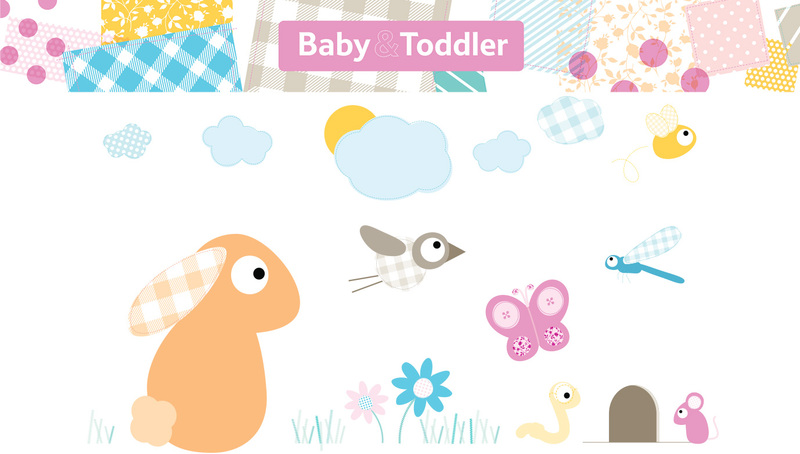 A new brand for Tesco Baby that is both fun and reassuring. 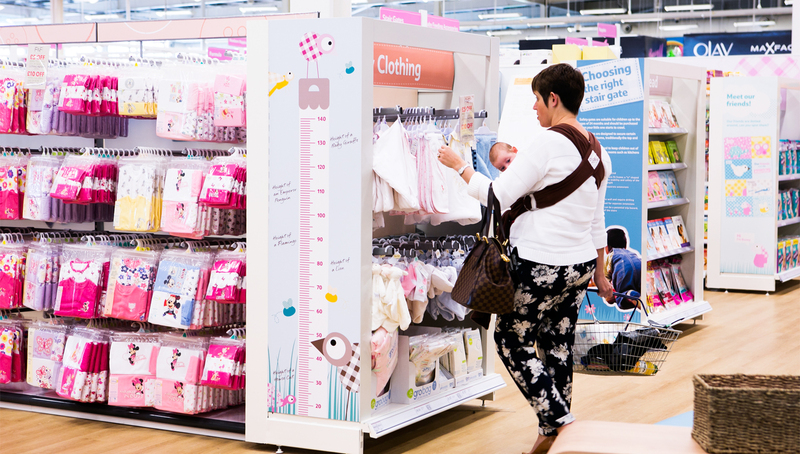 Tesco asked Identica to help it create a branded space for its Tesco Baby offer instore. 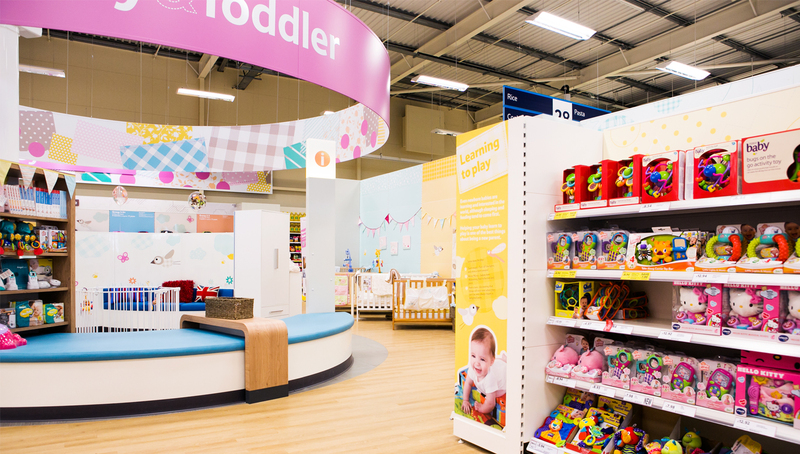 Our objective was to make Tesco Baby a haven of knowledge, inspiration and fun. 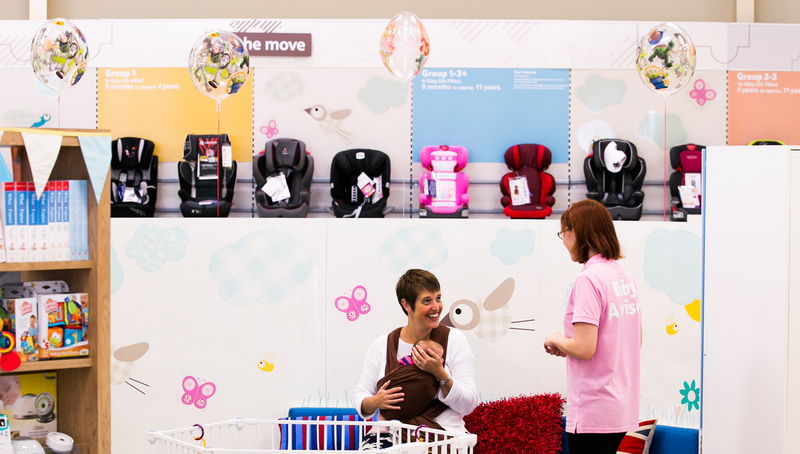 Most parents, especially first-timers, want a bit of reassurance that they’re doing the right thing for their little one. 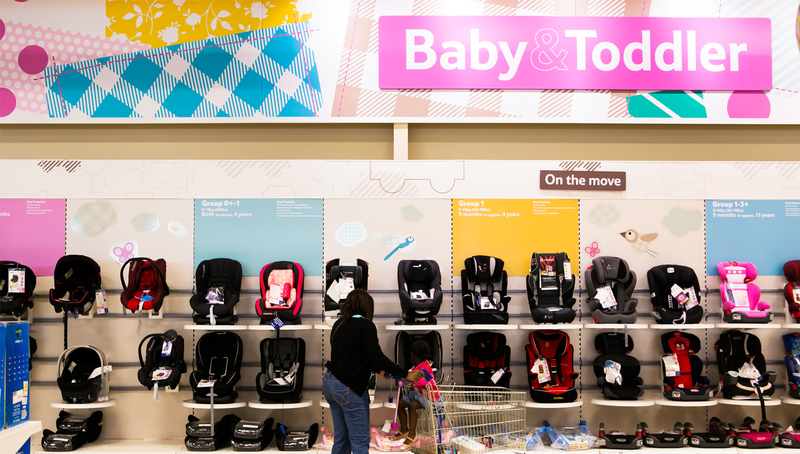 They also don’t want to be hurried with important purchases for their baby, and expect the communications to be the right mix of warmth and functionality. 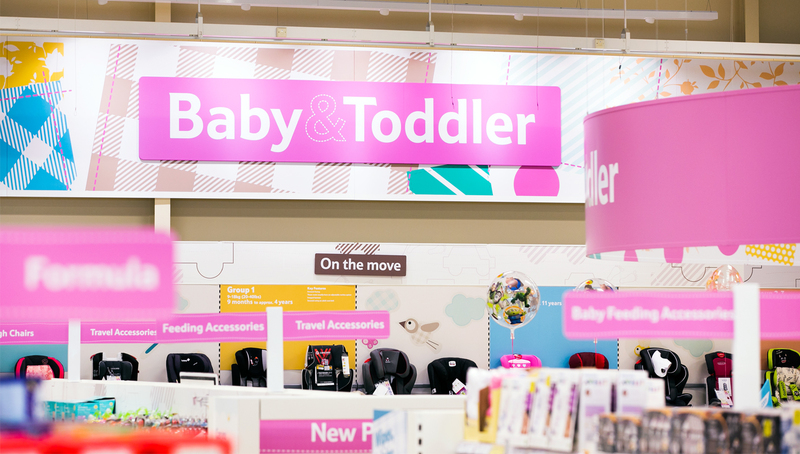 The brand we created for Tesco Baby that clearly establishes it as a distinct offer within the wider store, and uses playful imagery to add personality and reassurance for customers. The layout and communications were designed to slow down the pace, and create space for consultation and browsing. 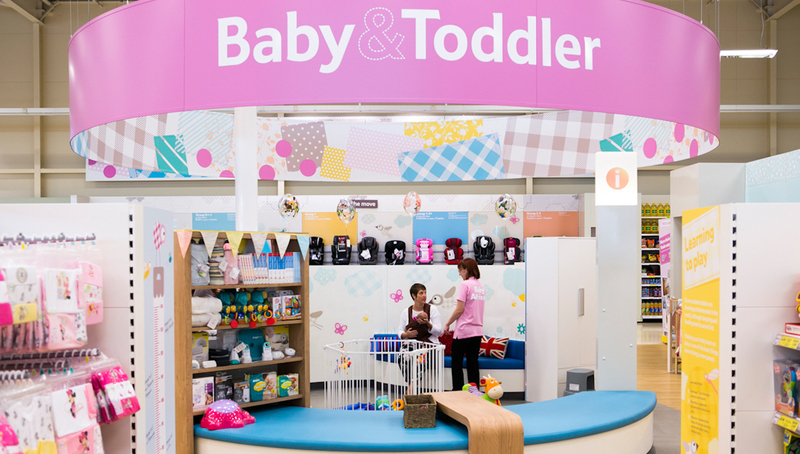 The low unitary makes it easy to navigate the space and allows for the brand’s visual language to be applied in an engaging way. 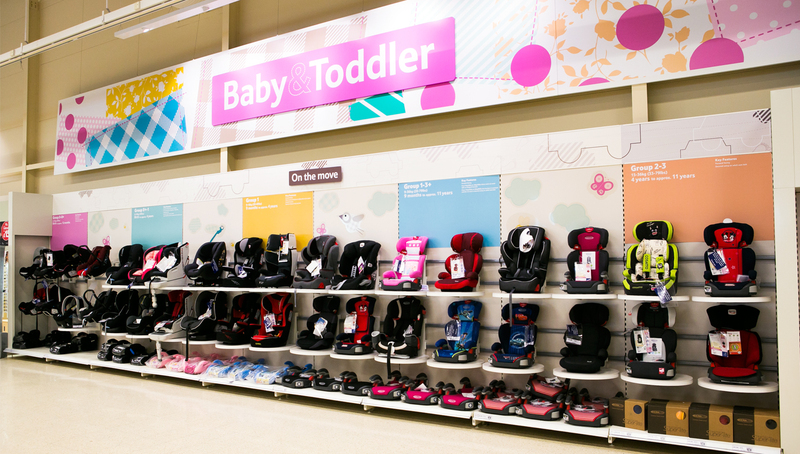 Parents felt more confident that Tesco knew about childcare, and went there for advice as well as products. Their little ones, meanwhile, got stuck into the fun and games.